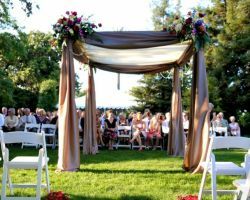 There are very few Sacramento wedding planners who lay out their services so clearly for their clients to pick and choose from. Megan Hodapp Designs offers more than just event design and wants potential clients to know exactly how much help they can receive when they hire this team of professional consultants and coordinators. From event rentals, to set up and take down, event styling, organizing and planning, this company truly does everything you could need to make your day extra special. Working with a professional wedding planner can make the difference between having a nice event and having a lavish and unforgettable party. Alison Ulshoffer Events has helped countless local couples make their dream wedding a reality. This company gives each of their clients the celebrity treatment by working closely with them to pull off a personalized event. Whether you need this team as an organizer for the entire thing, the designer or just the team in charge on the day of the event, they can accommodate for all of their client’s needs. Anais Events is a full service planning company for high-end multicultural weddings in California. This is one of the only companies that is so specialized and is completely capable of making traditional and modern multicultural weddings come to life in the way the couple has always dreamed. Each event planned by this company is elegant from beginning to end with an air of sophistication and a party filled with fun. 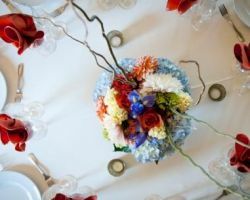 Your event will be beautifully styled when it is in the capable hands of this company. When you start to plan your wedding you will probably have what seems like an overwhelming checklist of things to do and buy. You don’t have to become stressed about getting this list completed when you have the help of the professional planning team at Conway Creations. This company helps local couples as well as those planning a destination wedding to enjoy the experience of pulling off a great event. The team will help you choose a style and find the right vendors to match while you make the big decisions. 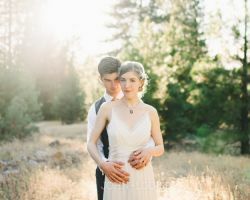 Twenty Mile House is one of the top wedding venues for nature loving couples in California so it comes as no surprise that it is also home of one of the best wedding planning teams as well. This team works with couples to understand their wedding vision and then works diligently to make that vision a reality. Whether you want something formal or more down to earth, you can be sure that your event will be elegant and will be done on budget. Strings & Champagne Events knows that you have been waiting for years for this perfect day, which is why they have spent years perfecting their planning skills to help you make that dream wedding a reality. To get started, this company gets to know the couple they will be working with on a personal level. This allows the company to better understand the love story behind the big day as well as the style the couple would like. 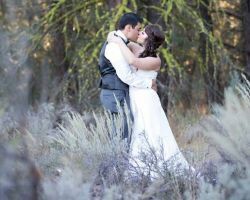 There is no more dedicated wedding planner in Sacramento, CA. Catrina, the owner and mastermind behind Catrina Marie Designs, began her career planning lavish weddings at high-end venues and country clubs. Since developing her own company, this certified wedding consultant has been able to better serve the needs of her clients and truly provide full-service event design. For a romantic wedding and a fun reception, there is not a more professional and reliable team of coordinators in the business. This company is truly made up of a team who bring together their strengths to best serve clients. You do not need to stress out about planning a wedding when you have Platinum Planning on your side to help you through each and every decision. This planning company does not just work to create beautiful weddings and events but to truly allow the couple to focus on the important part of the day; committing to one another. You don’t need to deal with the chaos, simply direct the planner on how you would like your day to go and they will take care of the entire thing.